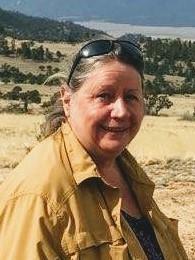 Jo Reese fell in love with the Buena Vista area years ago while experiencing the joys of backpacking on the Continental Divide, rafting down the beautiful Arkansas River and bicycling over Independence Pass. This was enough to plant the seed to permanently settle here. She was born and raised in Fort Lauderdale, Florida. When she was not hard at work in her family’s home improvement business (at a young age), she could be found sailing, surfing or scuba diving. Her father was a licensed building contractor, which may have sparked her passion for the construction world. She absorbed enough accounting, management and hands-on physical work experience in the field, to propel her into many years of honing her skills in all of these areas. This led her further into the construction world and eventually spec home building, income-property development, home remodeling and real estate investing. Jo has lived and worked in Colorado since 1982 and proudly calls it home. Jo Reese has been a dedicated Buena Vista Chamber member since 1996 and has also owned and operated multiple successful retail and service businesses in town. She does what it takes to get things done, while treating every customer with utmost respect, loyalty and passion to provide the best services possible. Jo eagerly looks forward to matching the right property buyer with the right seller. She knows this area very well and has a great eye for value, as well as potential value. She has a creative mind to resolve obstacles that occasionally occur in business transactions and she handles them with experience, patience and ease. Jo knows how to buckle down to make things happen. If she’s not hard at work on a real estate deal, you may run into her out in the back country or at her ranch where she raises organic beef, honey, eggs and fresh produce.